Tata Myst is the grand plan of high-end lifestyle residences to be developed in the arms of nature in Kasauli, Solan. This luxury residential plan is surrounded by the alluring view of Himalayas. Tata housing Development Corporation was established in the year 1984. This company has been functional in the residential and commercial sectors dynamically. Tata Myst Kasauli is located in a small allure hill station of Himachal Pradesh. This destination of natural beauty is covered with pine forests, orchards and high ranges of Himalayas. Kasauli has the access to the dynamic and tempting city Chandigarh and Shimla. It has close vicinity to the National Highway No.22. There is key number of enchanting scenic locations which attracts your attention to visit by. Tata Myst prices for the available variants are available @Rs. 3crores - 10.93 crores. There is 2,3 BHK & 3A independent villa, 4C Duplex, 3G Row house, 3BHK duplex and 5C villa going to develop. Tata housing has merged Biophilic architectural designs to construct all the opulent segments. Biophilic includes the local hill side ecology and topography. Number of sumptuous attributes to be installed in this plan such as- Grand entrance pavilions with lotus pond, water wall and temple complex, rock climbing and further more. Himachal Pradesh is well known for its delightful hill stations to tour in the real time. 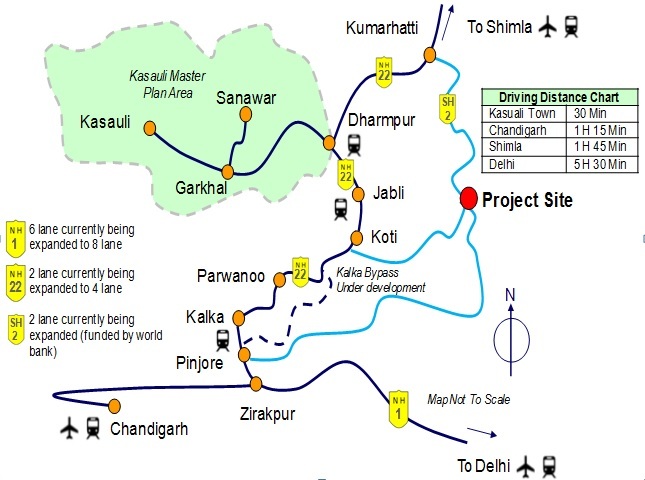 Kasauli is an additional to be center staged hilly area right away, after it will get developed with the extravagant realty plans. Tata Myst Cliffside - Hilltop Residencies Near Kasauli. Myst is located in the foothills of the Himalayas near Kasauli, 5500 ft. above the sea level.